Yoga for kids is becoming increasingly popular with kids yoga classes popping up everywhere — at yoga studios, in gyms, and even in schools! 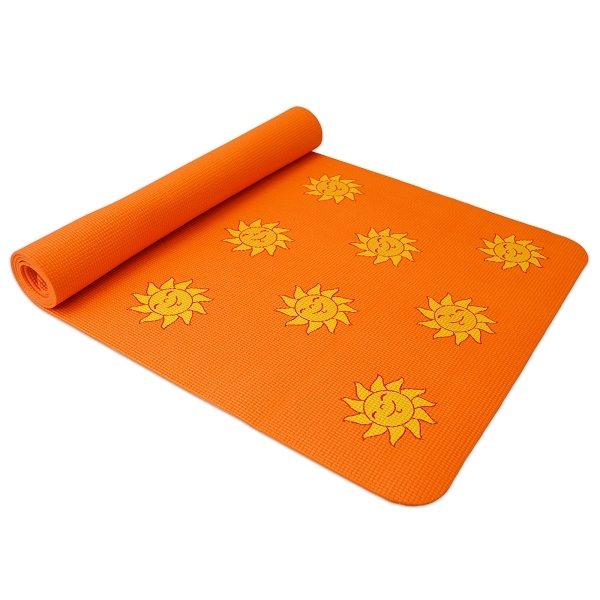 Our Kids Yoga Mat is 1/8" and as wide as our deluxe yoga mat at 24 inches. Your children will love our whimsical design themes and want to tumble around on one: smiling sun (orange), butterflies (purple), or turtles (blue). 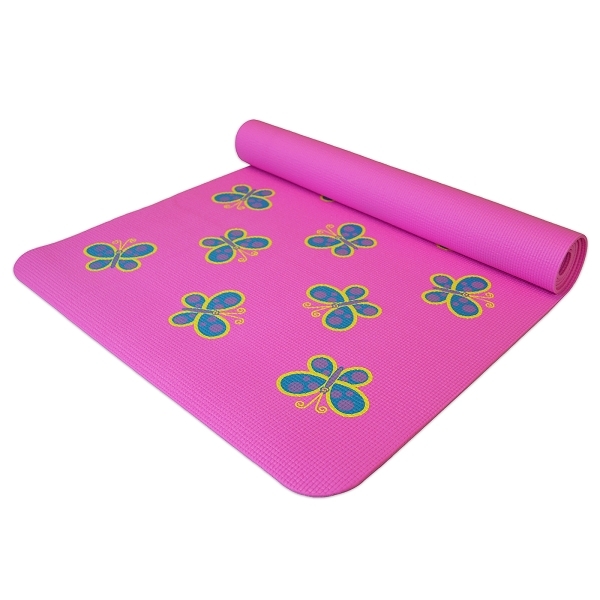 These yoga mats for kids are cushy and thick (1/8") for those who like to play around on the mat. Great yoga mat. My 4 year old loves it! Bought the turtle and butterfly ones for my kids. They are large and thick and both of my kids love them! They love doing yoga! I got the turtle and sun mats for my 3 and 5 year old. 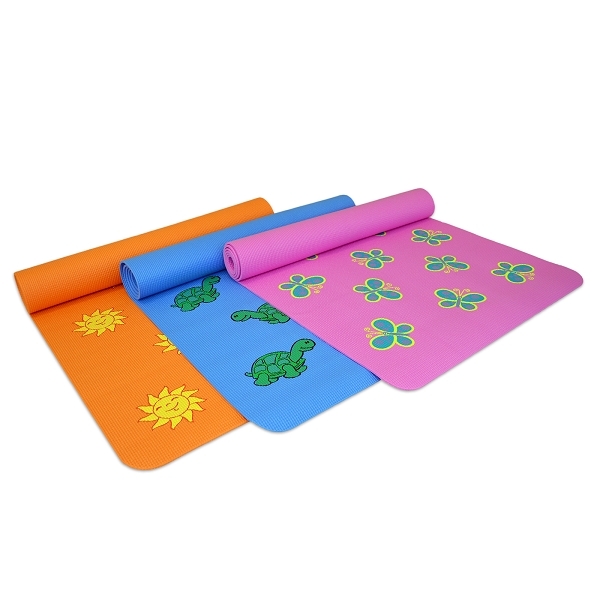 They are adorable mats with bright colors. My children cannot get enough of them. "Mommy is it yoga yet?" The print of the turtles was adorable and the thickness of the mat was perfect!